You'll be £19.99 closer to your next £10.00 credit when you purchase Britain on the Brink. What's this? At the time of the Cuban Missile Crisis, Britain was America's first-line defence, a vulnerable, but unsinkable 'aircraft carrier' on which the United States based the Strategic Air Command's first-strike elements of their America's nuclear deterrent. The Strategic Air Command's UK bases and the RAF's V-Force were ordered to the highest state of readiness at any time during the Cold War. Nuclear weapons were loaded, some nuclear-armed aircraft went on round-the-clock airborne patrol, others were held at cockpit readiness. But the British public was largely unaware that, as tensions rose thousands of miles away, the UK itself was under imminent threat of armageddon. 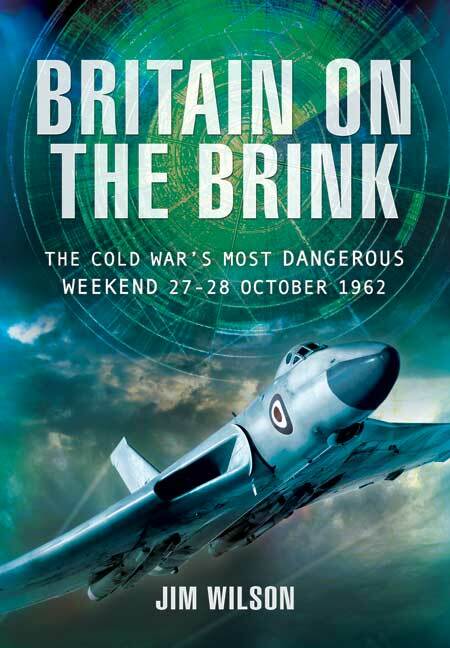 The book focuses on the implications for Britain of the covert deployment by the Soviet Union of ballistic nuclear missiles ninety miles off the US coast. It follows the crisis as it developed in London, Washington and Moscow. It looks at secret planning in the UK for World War III, and the activities of the JIGSAW Group (Joint Inter-Services Group for the Study of All-Out War). It also examines how close the UK went to activating 'Visitation', the code name for the movement of parts of the British State into a secret bunker referred to in Whitehall as 'The Quarry'. This new book focuses on the implications for Britain of the covert deployment by the Soviet Union of ballistic nuclear missiles 90 miles off the US coast. This fascinating book also reveals the major strategic re-think the Cuban Crisis forced on the Prime Minister Macmillan and the British Government. Despite taking place 51 years ago, some previously classified details of the Cuban Missile Crisis are still coming to light. A stunning book that provides a chilling account of what could have ended so differently. For British school children during the autumn and winter of 1962, the expectation was of imminent death at the hands of a nuclear explosion. In this book, the author examines the crisis ans its impact on the United Kingdom. Britain on the Brink makes for compelling and sobering reading. Wilson's highly readable and thoroughly disturbing account of one of the most harrowing periods in recent British history sheds fresh light on a complicated and sometimes confusing episode, exploding myths and exposing cover-ups to reveal the truth about a chilling episode in which political brinksmanship scaled new heights and the world hovered on the edge of oblivion.